My goal for this six week long challenge with Made to Matter, Handpicked by TargetTM was to get a handle on our on-the-go lunches. The challenge was perfectly timed now that the new school year is on my heels and I can’t stress it enough—attaining this goal was ALL about prep. I stocked my pantry with good, clean snacks that I can grab in a rush, stash in my purse or even leave in a box in the trunk to help me get a head start! Then, once a week I started taking a little chunk of time to chop veggies and put fruit into small containers in the fridge. Then I can literally just grab and go. Here are a week’s worth of lunches if you’d like to see! Monday: Hayes’s preschool ends right in the middle of lunchtime, and we’re usually running errands afterwards while we’re already out in the car. His school provides small snacks, but after three hours there he’s always ready for something more substantial! For today’s lunch, I simply rolled up slices of Simply Balanced Oven Roasted Turkey with Annie’s Organic Honey Mustard, Horizon Organic Cheddar Cheese Slices and a leaf of spinach. Then I skewered them with these darling flag toothpicks. I bagged up some pre-cut veggies, a chocolate milk and even more spinach packed in the Plum Organics Strawberry breakfast bars for a sweet treat! Surprise – another lunch on the go! Whenever I made sandwiches I let the boys use a cookie cutter shape on it, it seems to seal the sandwich down so nothing drips or falls out of it, which is a huge bonus if they’re chowing down the car. They won’t eat the crust anyway so it’s a win-win! This one is more turkey and cheese (their favorite! ), and a sliced apple and a little helping of peanut butter to dip the apple slices in. They washed this one down with a Plum Organics Super Smoothie and a water bottle. After talking with Phil, I was so excited to try Evol Foods out! For the most part I had sworn off frozen foods, going so far as to put my microwave in storage to avoid using it. We learned from chatting with him that it’s all about using proper processes and quality ingredients – that’s makes some frozen food a great option. Reading these Made to Matter, Handpicked by TargetTM items’ ingredient lists (they’re all pronounceable and recognizable), eased my fears about eating frozen foods. So we gave their most popular dish Evol Truffle Mac & Cheese Bowl a shot with a side of the Organic Mixed Vegetables For extra freshness I included a bowl of berries, then a Kashi Oatmeal Cookie and my boys’ new favorite “sosa” as Cal calls it – but it’s cranberry cherry drink with far less sugar than soda. At this point in the week, I’m dragging and ready for the weekend, so this lunch is as easy as it gets! 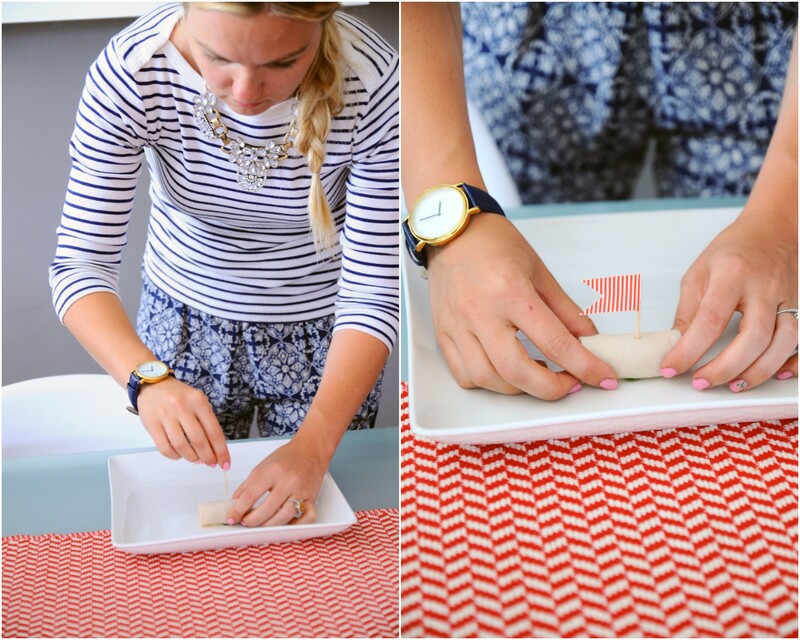 My kids love to assemble these little sandwich stacks themselves, so I just take a circle cookie cutter and punch out turkey and cheese slices and then pack them with Simply Balanced Brown Rice Crackers. For some extra sweet goodness, I toss in some berries and pre-prepped veggies, that favorite cranberry cherry drink and we’re good to go! 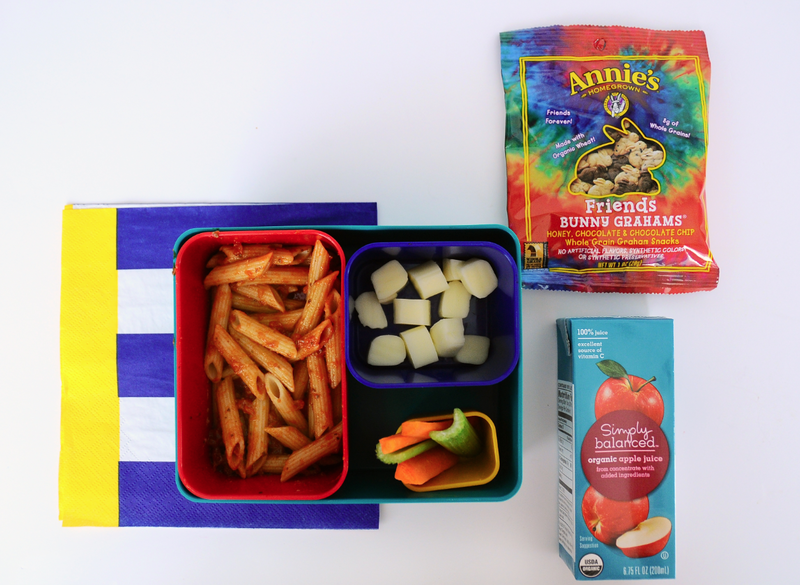 What are your go-to lunches for back to school? To makes it easy, you can pin all 5 lunches below for an easy reference! Follow us on Pinterest to see more healthy ideas! 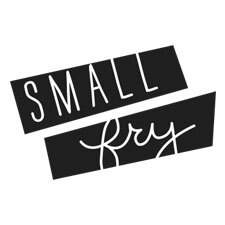 frozen yogurt dots 2.0 great.ly: another place to find small fry! and is this lunchbox target too? Great ideas! Where are your cute pants from? These are wonderful. For the “hot” foods like the pasta do you heat it up in the morning before sending him off or leave it cold? Thanks for reading! This bento box actually keeps it relatively warm. We heat it up in the am and then it stays about room temp for lunch! so my son would call these lunches “an appetizer” but great ideas! I pack his school lunch, including two fresh fruits, and try my best to have healthy snacks packed for after games/practices or just when we’re in the car. I’m super lucky that he looooves water, so I make sure I always have that handy. When he was younger, I’d use cookie cutters for his sandwiches as well, matched to the season. thanks for sharing. Hi emiLy! I cant seem to find link in post for these awesome lunch boxes. Would you tell what what they are called? I’m always looking for new ideas to pack in my children’s lunch. These are great! Thanks for sharing.